This 12mm is yet another example of a fine lunar and planetary eyepiece that is truly a joy to use. The day I received it I used it to see the Red Spot and shadow of a moon on Jupiter and extreme detail on a night of near perfect seeing conditions for viewing the Moon. 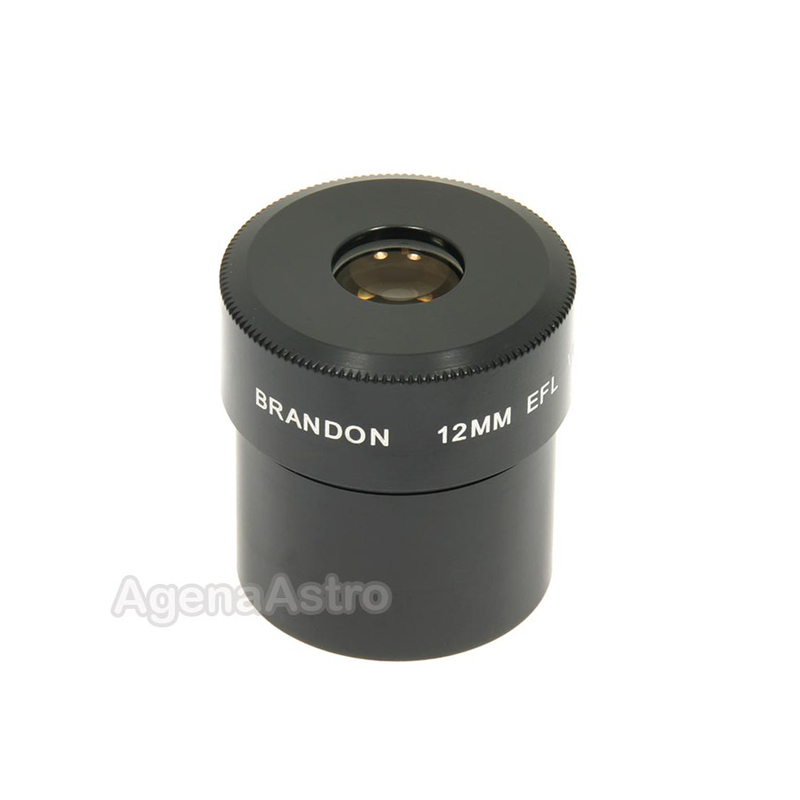 The very first Brandon eyepiece I got was about 1972 and it was a 12mm. I have used Brandons continuously since then and am now putting together a set of new ones. Used on my Celestron SCTs and Tele Vue refractors, these are great for accurate color, resolution, contrast and fine sharpness throughout the field of view. I'm not concerned with having an apparent field of view of 85 degrees, and truly like the light weight of these eyepieces. There is a relaxed ease using Brandons in my experience. They seem to disappear and let you get lost in the viewing and forget about the equipment in front of you. Lastly, they have been and are very consistent in quality. I will continue to use them and enjoy them. You may wish to try them, too.